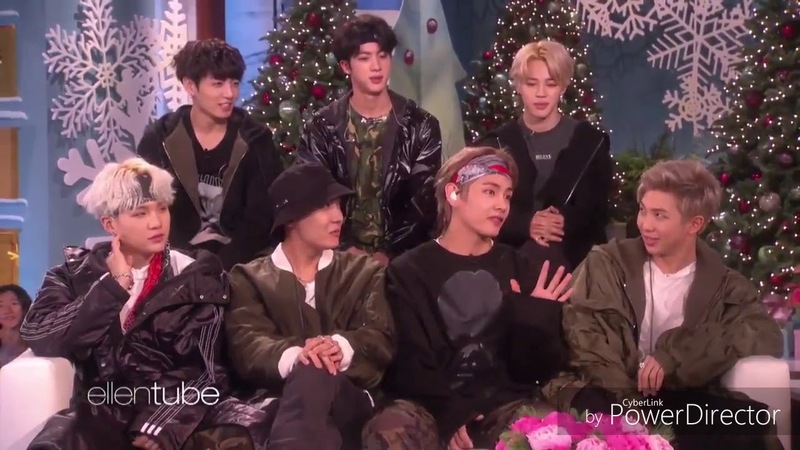 Home Entertainment BTS Appeared on Ellen! Look at Their Funny Moments Here! BTS Appeared on Ellen! Look at Their Funny Moments Here! BTS (Bangtan Sonyeondan), also known as the Bangtan Boys, is a boy-group from South Korea. There are the trio of rappers, Suga, J-hope, and RM (Kim Nam-joon), who’s the leader of BTS. 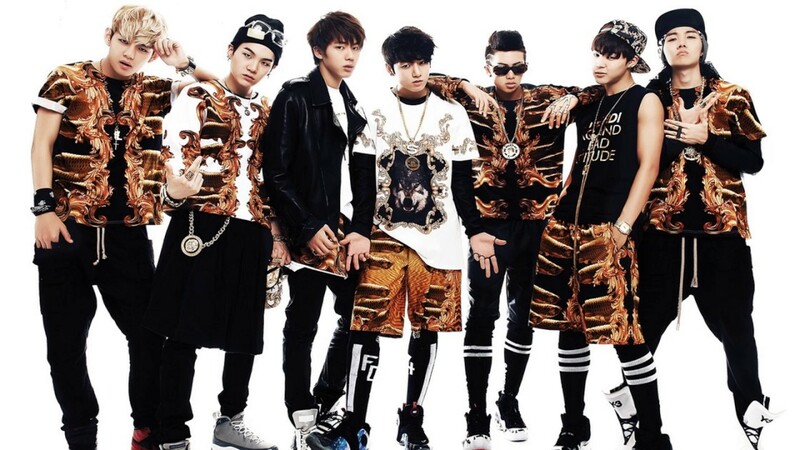 There are also the vocalists Jungkook, Jin, V, and Jimin.The group is under the auspices of Big Hit Entertainment, and they debuted in June, 2013, with the song No More Dreams from the album 2 Cool 4 Skool. No More Dreams won the group several New Artist of the Year awards, including at the 2013 Melon Music Awards and Golden Disc Awards, and the 2014 Seoul Music Awards. The band continued to gain prominence with their subsequent albums, especially in 2015 with the album The Most Beautiful Moment in Life, Part 2, and in 2016 with The Most Beautiful Moment in Life: Young Forever. Both albums made it to the U.S. Billboard 200. That same year, 2016,, they released a full album after The Most Beautiful Moment in Life : Young Forever, called Wings. The album was ranked #26 on the Billboard 200, which was a new thing for BTS and K-pop in general. In South Korea, Wings became the best-selling album in the history of the Gaon Album Chart at the time, and the group was subsequently awarded the Artist of the Year at the 2016 Mnet Asian Music Awards. The group’s next album, Love Yourself: Her (2017), debuted at #7 on the Billboard 200, the highest ranking for an Asian artist or group in history. 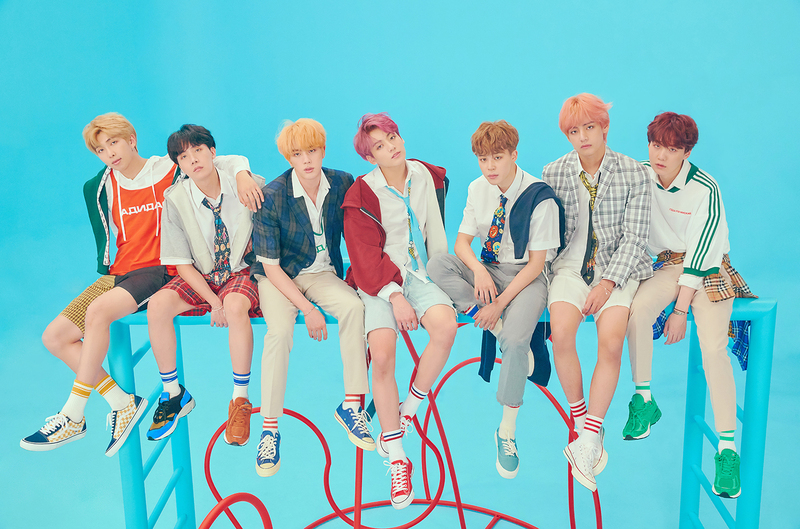 BTS celebrated their new album entering the Billboard Hot 100 for the first time, with the album’s title track, DNA, which started at # 85 and peaked at #67. 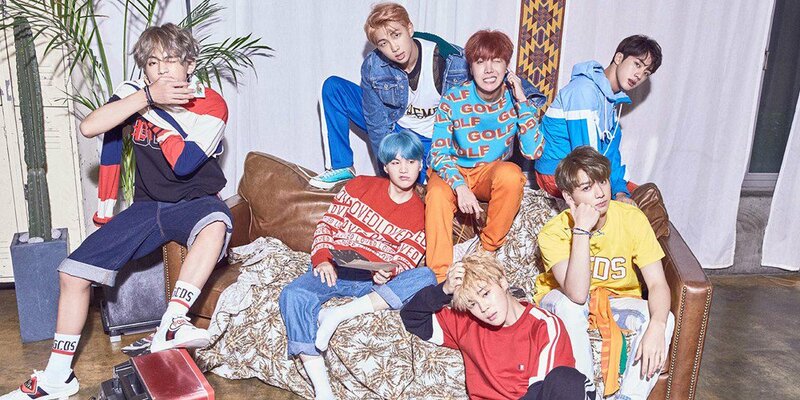 BTS also collaborated on “Mic Drop” songs with Steve Aoki and Desiigner. The following year, 2018, BTS release two new albums, namely Love yourself:Tear and Love Yourself: Answer, which are the second and third of the series for the album Love Yourself. 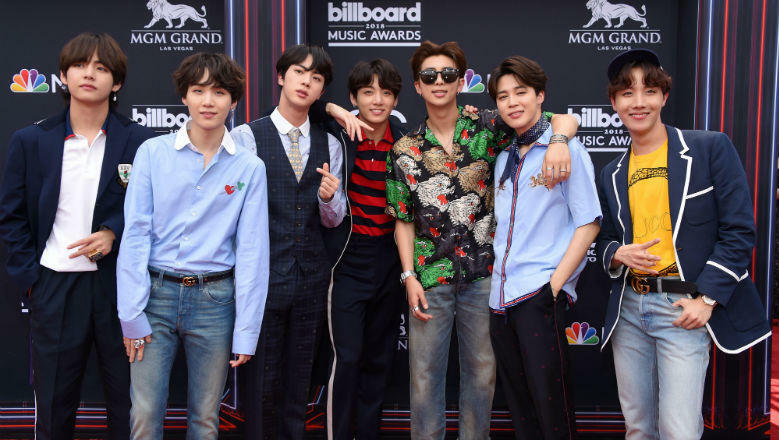 In both the last two years, 2017 and 2018, the group won the Top Social Artist Award at the Billboard Music Awards, becoming the first Korean group to win at the BBMA. One of the group’s achievements that South Korea is the proudest of is that, on September 28, 2018, BTS was invited by UNICEF to attend the 73rd Meeting of the UN General Assembly in New York. BTS’ leader, RM, gave a speech at the meeting. 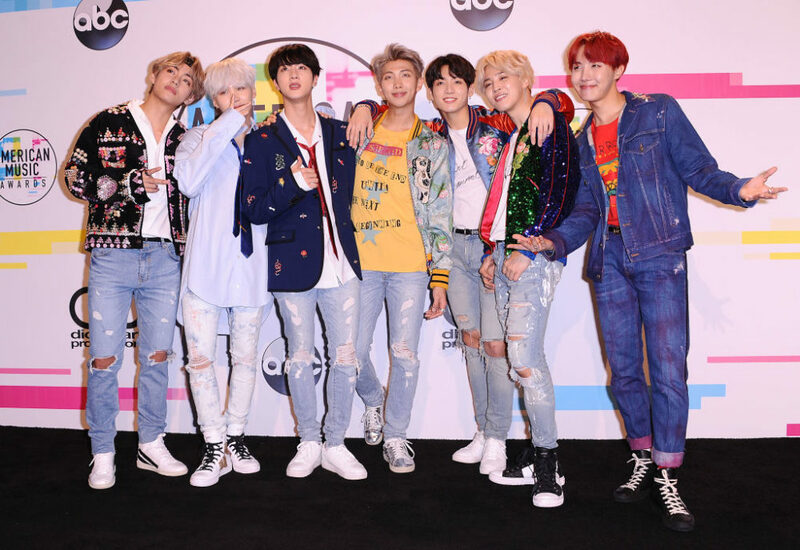 In 2017, BTS attended and performed in the biggest music awards, the Billboard Music Awards (BBMA), taking home trophies in the Top Social Artist category. They also attended the American Music Awards (AMA), this was their first debut in America since they were there as rookies a few years ago. BTS was called ‘the biggest boy-band on the planet’, and their album was nominated for Best Recording Package for the Grammy Awards 2019. 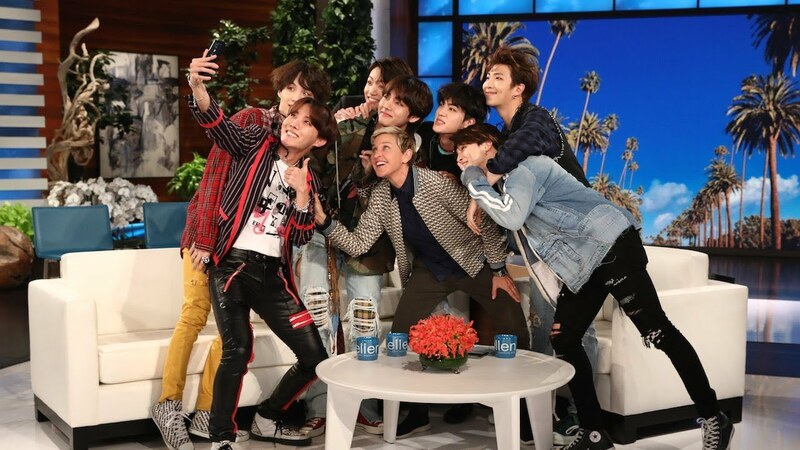 In addition to attending the music programs, BTS has also guested on several well-known TV shows, such as Jimmie Kimmel, The Late Late Show with James Corden, and also The Ellen Show. 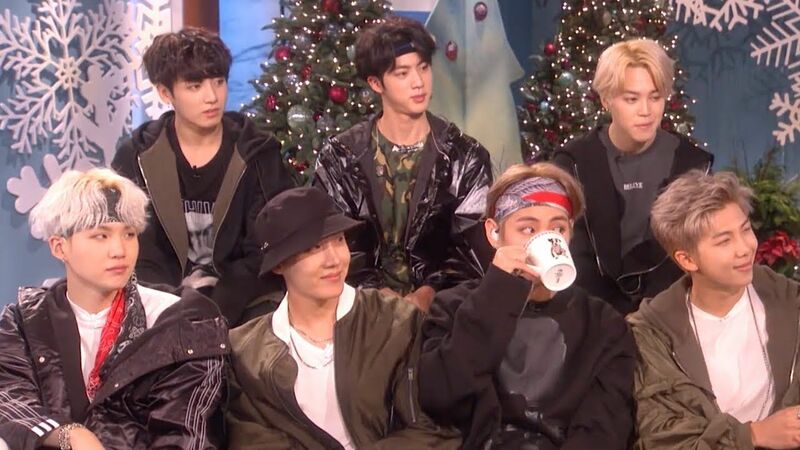 BTS had some funny moments during their interview with Ellen, and here they are! For example, when Ellen asked BTS’ leader, RM, about his English skills, he said that his mother forced him to learn English by watching DVDs, and at that time, he felt like a victim of his mother’s compulsion. Then, the next question they were asked was “did they ever hook up with one of ARMY? (Army is the name for their fans)”, and RM replied that “we are doing right now”. 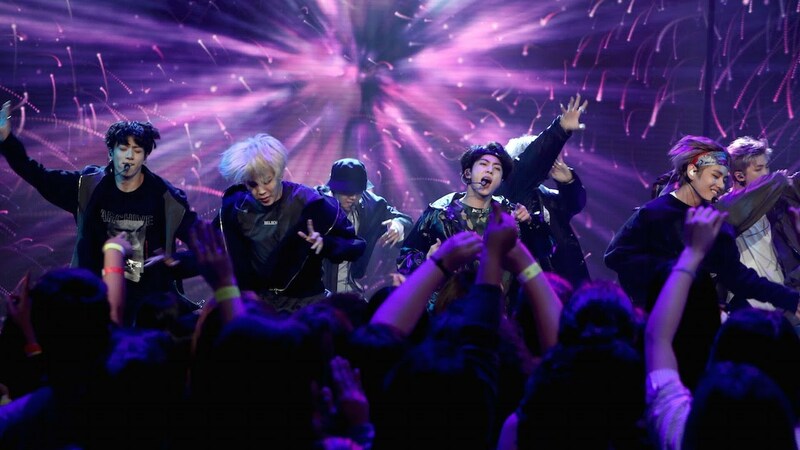 “No” quickly, and the other members, Ellen, the translator, and the members of the audience who were ARMY laughed. As we all know, V is known for being funny and adorable. V’s funny response was recorded in this video at minutes 3:55. Not only that, at the beginning of that video, during the introductions, when V introduces himself, he made a funny expression. Then, when J-hope introduced himself, he said “Hi, I’m your hope, You’re my hope and I’m J-Hope”, then Suga, next to him, chuckles. Finally, Jin introduced himself as ‘Worldwide Handsome’. In 2018, they were invited to the show again, on May 25. That time, the BTS members were asked ‘do you have a girlfriend?’ and all the members got panicked looks on their faces, especially RM. RM changed the subject, and Ellen finally talked about something else. In the middle of that conversation, the BTS members were suddenly surprised by the appearance of someone from the drawer table near RM and Ellen. As a result, they were all so surprised that they made really startled faces. J-hope was so shocked he fell, V was so startled he jerked his legs up, and Jin was so shocked he screamed. Suga was the only one who stayed calm. And here’s the completed Video!